We had a really nice stay at the Wine Valley Inn, located right in town and walking distance to all the shops and restaurants. They offer regular hotel rooms as well as little cottages, surrounded by waterfalls, trees and gardens. While we didn't stay in a cottage this time around, I'd love to book one for next trip! Our room was great and included a yummy breakfast every morning. My sister and I booked massages at the front desk when we checked in, and it was one of the best I've ever had! One of the nicest evenings was spent at The Landsby. Located right across the street from our hotel, we walked over for one of their 'Music Under The Stars' nights - live music, tapas, and cocktails enjoyed outside in their gorge courtyard, surrounded by trees, plants, and twinkly lights. Other meals were eaten at Succulent Cafe and Hummingbird Cafe, both in downtown Solvang, walking distance from our hotel. Although we had to wait an incredibly long time for our food to arrive at Hummingbird - it was delish when it finally came. The Mission Santa Inés is a must see when visiting. Absolutely gorgeous grounds and lots of history. Not to mention the views! 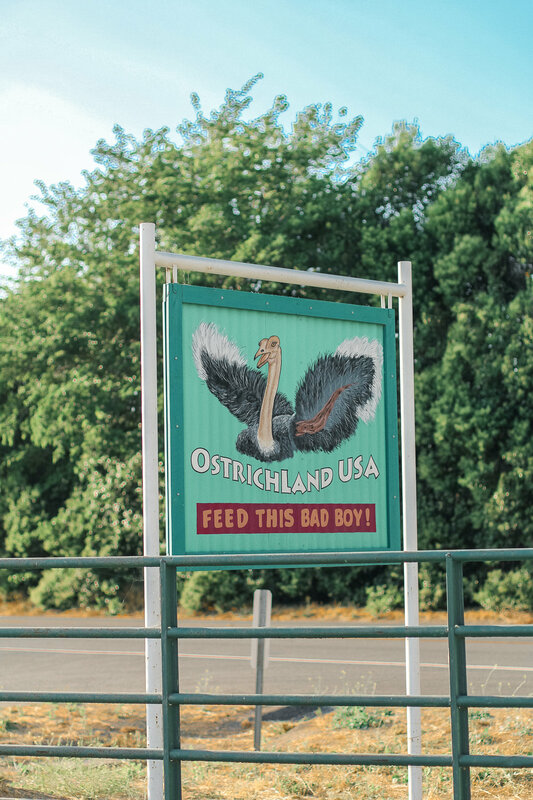 One of my favorite places we visited was Ostrichland USA. It's only a 5 minute drive from downtown, but it felt like we were in Jurassic Park! 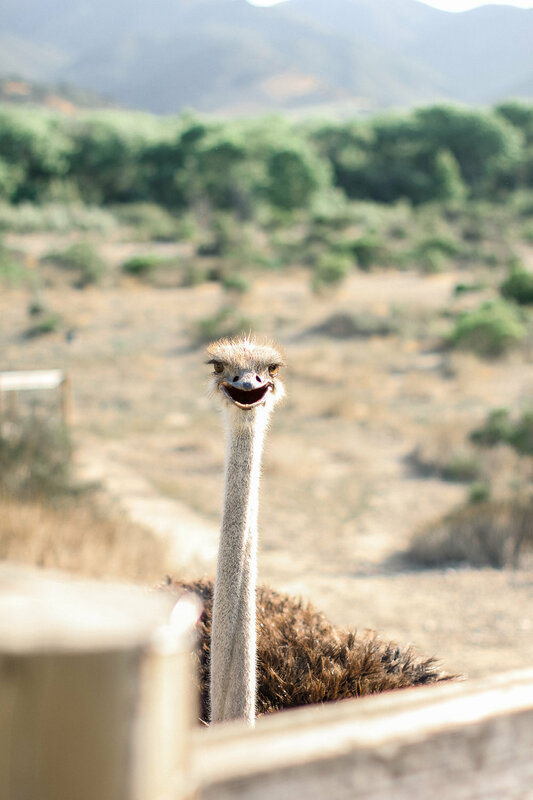 If you've never seen an ostrich up close in real life, prepare yourself - they're amazing, hilarious, and terrifying all at once! 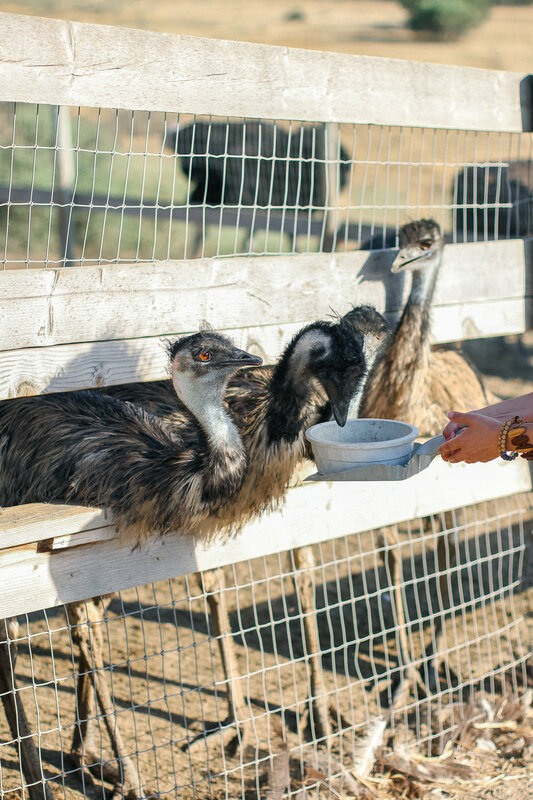 You can even feed them at Ostrichland, which was both exhilarating and frightening - those guys are super big and strong. They were pecking at the food dish incredibly hard, I was afraid they were going to miss the dish and take off my hands bahaha! 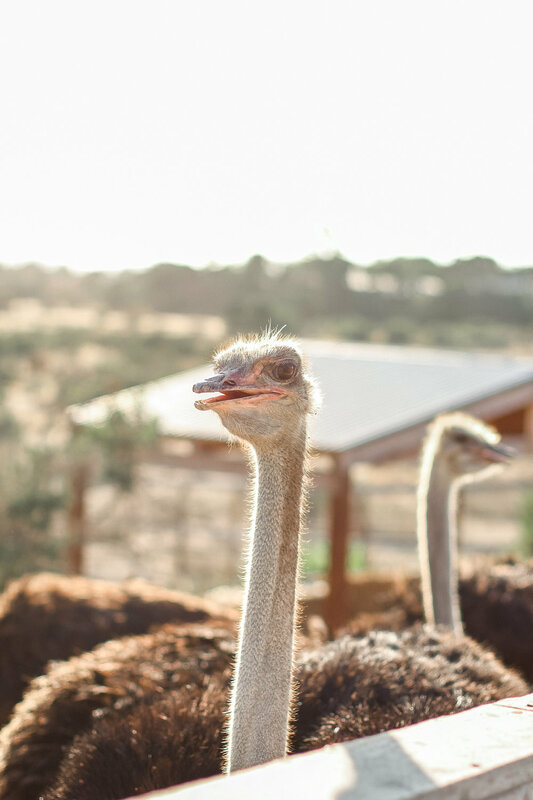 There are emus at Ostrichland too and they were much more gentle and polite when eating. Really funny/sweet looking too! 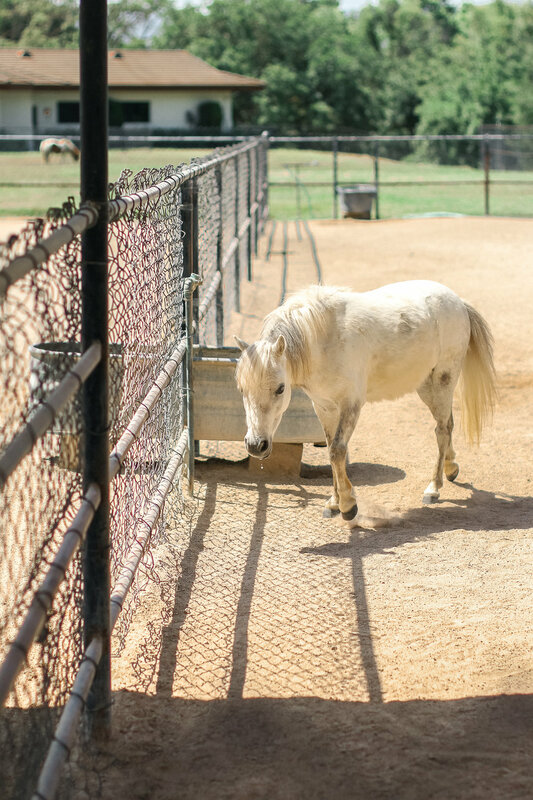 Another fun excursion was to Quick Silver Miniature Horse Ranch. All the cutest lil bb mini horses! Look how tiny they are compared to me, can you even? I lob them. Other fun places we explored are the Hans Christian Anderson Museum (located on the 2nd floor of a bookshop in the heart of Downtown Solvang), the Elverhøj Museum (a lovely lil community museum devoted to the history of Solvang and the heritage of Denmark) as well as numerous cute boutiques, Danish bakeries, and ice cream/candy shops in town. We also popped over to the neighboring country town of Los Olivos - I highly recommend a viz when you're up there! We went wine tasting and there's a whole bunch of delicious restaurants and pretty boutiques as well. Added plus, it's a short, gorge drive from Solvang. 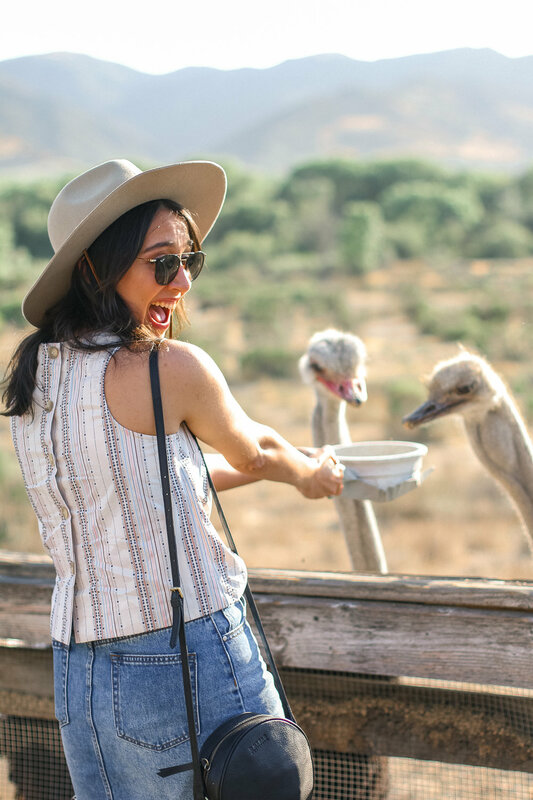 Stop at the Lavender Farm on your way over! Have you been to Solvang? What are your fave things to do there? Tell me your tips in the comments so I can check them out next trip!